GEMS,PRECIOUS, SEMI-PRECIOUS STONES,CUT STONES, BEADS, ROUGH STONES. Kala-Gems Group Of Companies was establishes in 1986 and started with Synthetic-stones and then Cubic Zirconia (with manufacturing facilities in south India and also in Jaipur) entered into Semi-precious stones and Precious Stones field. And now it is a leading importer and exporter of coloured stones. KGE specialize in Rough Precious and Semi Precious Stones and all kinds of Cut Stones and Beads. KGE has a direct mining source in different countries and are one of the largest importer of the Rough Stones in Jaipur, the HUB of Gem Stones. 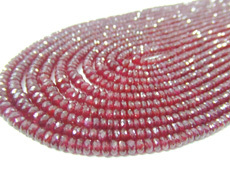 KGE is capable of supplying any quantity of all gemstones in all sizes. It is a place for all kinds of rough stones under one roof. KGE deals in more than 300 Stones. To know more, view our PRODUCT RANGE. KGE is a leading Exporter, Wholesaler, Manufacturer of Precious, Semi- Precious Stones- Beads, Cuts & Cabs, Diamond Beads & Synthetic Stones). It has a wide network in Europe, USA, South American countries, and Asian countries. KGE has won several Export Awards and also State Export Excellence Awards. We are known worldwide for excellent quality and exact delivery of products required by customers. Maintain huge stock and supply worldwide. KGE participates in all major exhibitions and Jewellery shows worldwide. Our aim is to provide excellent quality products to customers and satisfying them. 2014 KALA GEMS Exports. All rights reserved.